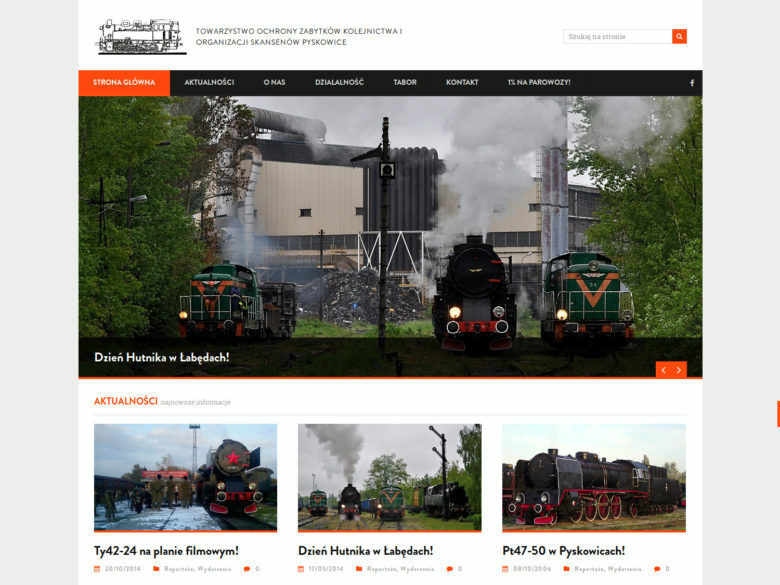 An official site for a railway preservation society operating in Silesia, Poland. The site’s main goal is to present the society’s actions and convince potential donators to donate 1% of the personal income tax to the society. Technically, it’s quite a simple project: a custom content-oriented WordPress theme featuring static pages, news and a contact page with a Google map. The design (by Anna Pawełczyk) is light and simple, based on contrasting areas of content, photos and navigation, with one color used to emphasize important elements. The site is responsive and built in line with the mobile-first principle to assure accessibility no matter the device being used, thus ensuring the client’s smooth transition to the modern, mobile web.